Got good ideas? Want to work in TV? We are looking for people who LOVE television and are capable of coming up with a broad range of new and exciting TV shows. We’re running BRIGHTBULB, a creative intern scheme designed to give some of the brightest and best a chance to get into non scripted TV ideas development. Your job will be to come up with brilliant new format ideas for TV. Our interns work in a fun, creative and diverse environment with excellent, experienced support to guide them through their first role in the TV industry. No specific qualifications or previous TV experience necessary! You just need bags of enthusiasm, a LOVE of TV and lots of innovative, original ideas. 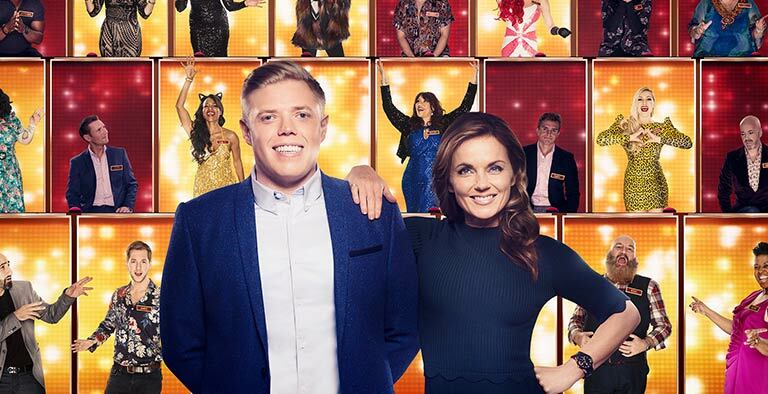 We have a huge catalogue of TV output including ‘All Together Now’, ‘Hunted’, ‘The Million Pound Drop’, ‘Pointless’, ‘Travels With My Father’, ‘Tenable’, ‘8 Out of 10 Cats’, ‘Murder In Successville’, ‘The Island’, ‘Soccer Aid’ and ‘MasterChef’. We believe great ideas can come from anywhere. We welcome applications from people of all ages, experience and social backgrounds. We are looking for creative minds to join our team at our offices in West London. This internship is initially a full-time 12 week contract, with 8 successful applicants starting 30th September 2019. The internship is a paid position at a rate of £400 a week gross. The successful candidates must have permission to work in the UK by the start of their employment. If you live outside the M25 and need to relocate to commute for the position there is a one off relocation bursary of up to £750 available to help you move. I was genuinely surprised at how much responsibility we were given, and that after only a few months, our ideas were being pitched to major channel execs! As a person with a disability I received all the support I needed to achieve my full potential, and they were incredibly proactive in doing so. Even if you never thought a career in TV was possible, if you have creative ideas, work hard, and love TV, you are exactly what they are looking for. So, if you are passionate about TV and think you could come up with the next hit non-scripted TV format then we would love to hear from you. Applications will be open online until 2nd June 2019.